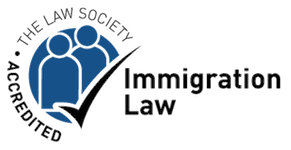 CNA Solicitors, a north London solicitors firm is a professional, dynamic and progressive law firm, specialising in Immigration, Civil Litigation, Family and Property Law. Our solicitors have commitment to provide a professional, friendly and personal legally structural services in a variety of legal matters. We offer a range of legal services to suit individual needs and business requirements. CNA Solicitors was formed to offer a high degree of professionalism with attentive, individualised client care service. From our offices in North London, our focus is providing Immigration and Property Law representation efficiently and at cost-effective rates. Our desire is to be the best north London solicitors serving our local community. Understanding your needs, the facts of your individual circumstances and the outcome you seek from your case, allows us to find the most suitable approach to resolving your legal problems. Whether you are a business or an individual, we will explain to you the various options open to you and advise on the advantages and disadvantages of each option. This ensures you are in a position to make an informed decision. Our purpose is solely focused on helping you attain the desired outcome in any legal circumstances you may be facing. Our vision is growing our practise by client referrals and become the north London solicitors of choice. The hallmark of our practice is our ability to provide a comprehensive degree of quality specialist work at a reasonable cost. For the best North London solicitor, call us on 0207 118 2010. Alternatively, you can send us an email to info@cnasolicitors.co.uk.